We were overseas for two weeks for dive trips and came back to Okinawa 2days ago. It is nice to be back to our home ground but we are a bit scared of the cold water.... Yes, we had been spoiled by the warm water in tropical islands. So today we went to Cape Maeda for fun diving. The guests were Simon and Jana from UK. The weather and sea condition got a lot better than yesterday. Lucky! We went into Blue Cave which was almost all to ourselves. 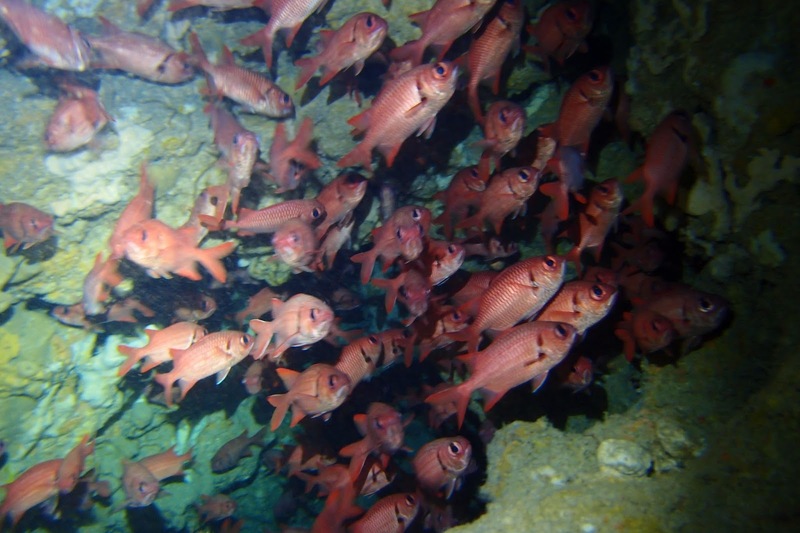 A school of fishes inside the cave. The visibility was over 25mtrs. 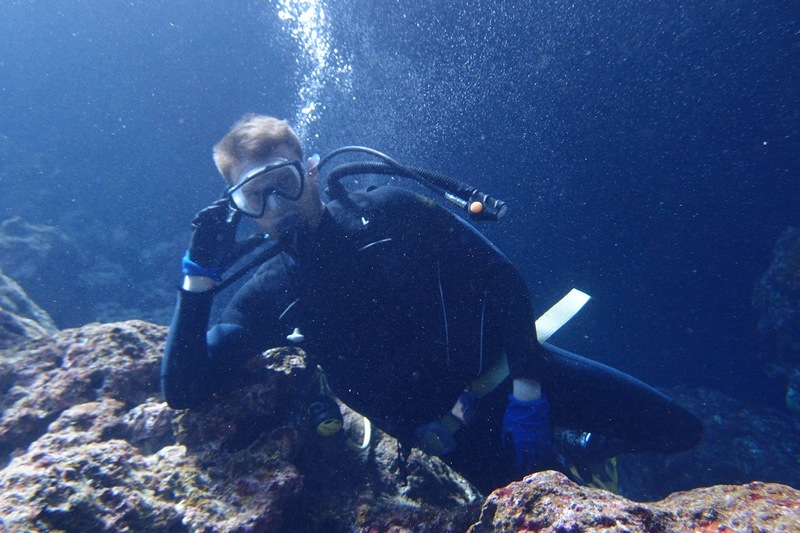 Love diving in Okinawa! We also saw a lion-fish, a school of batfish, scorpion fish, etc. 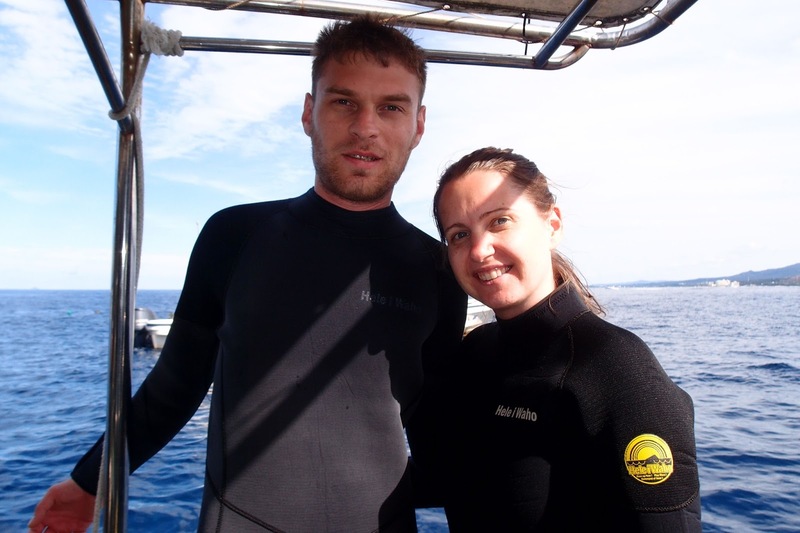 Thanks Jana and Simon for coming and diving with us today. How was the water in Okinawa? Very beautiful, huh? Hope you guys had a good time. Enjoy the rest of your stay in Okinawa & Japan and hope to see you guys again! 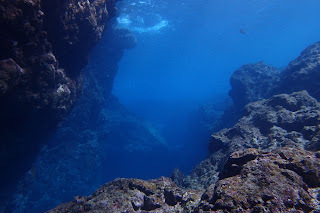 1, Yonaguni island, Here we come!! 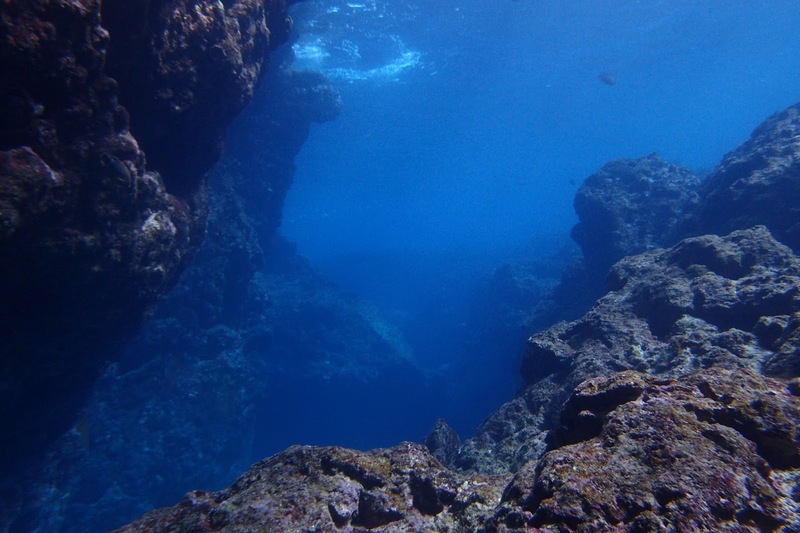 Yonaguni island is famous for hammerhead sharks and the mysterious underwater ruin. 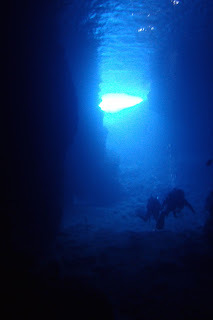 It's a must dive site in Japan. If you wanna see them, we have 3 trips this winter so please shoot us a message!